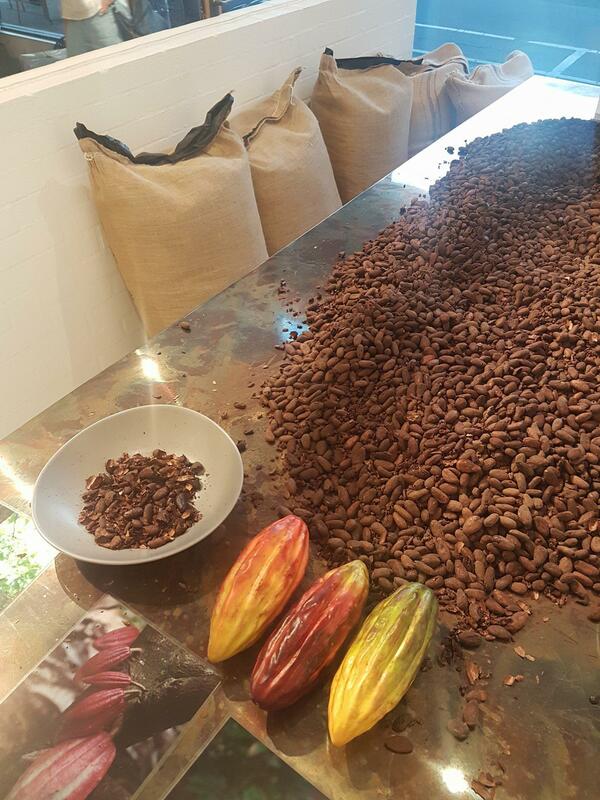 If Willy Wonka had a sleek design aesthetic and a fine taste for artisian chocolate sourced from the highest quality of cocoa beans from around the world, this would definitely be his chocolate factory. 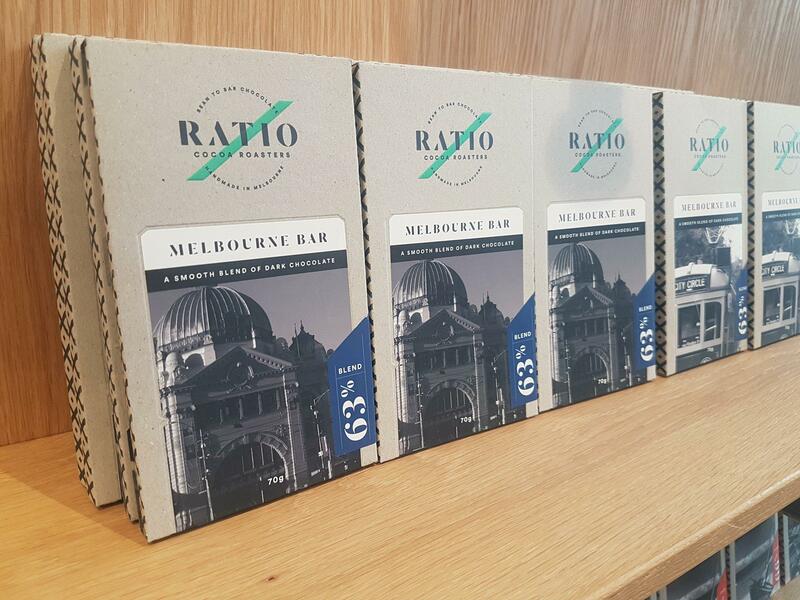 Ratio Cocoa Roasters, chocolate roastery and cafe has just opened its doors on Sydney Road Brunswick, giving the opportunity for chocoholics and foodies alike to gain a close insight into their specialty small batch chocolate creations, offering intimate tasting tours through the ten step chocolate making process, guiding you from bean to bar. 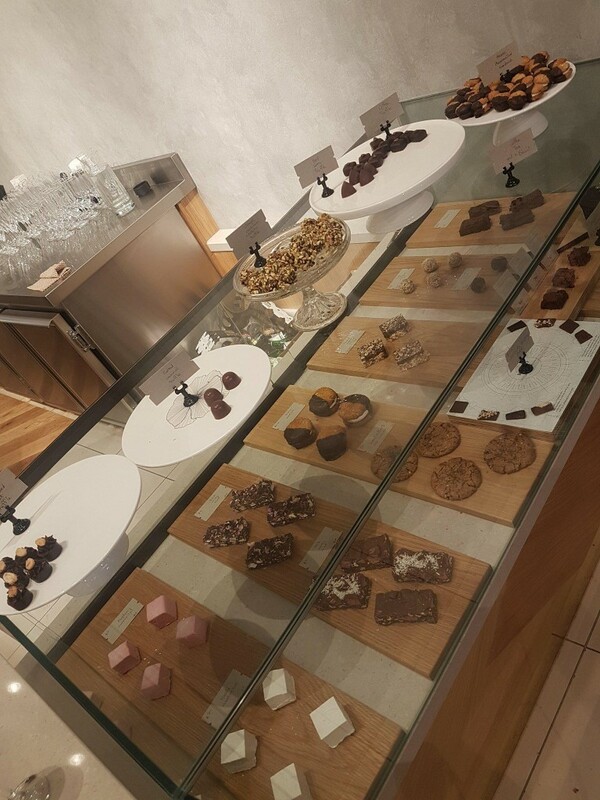 Or visit their gorgeous store to shop their selection of chocolate bars before hitting the café for a hot or iced chocolate with one of their delectable sweet treats like the Anzac Marshmallow Sandwich, Earl Grey Truffle or house-made raspberry marshmallow. 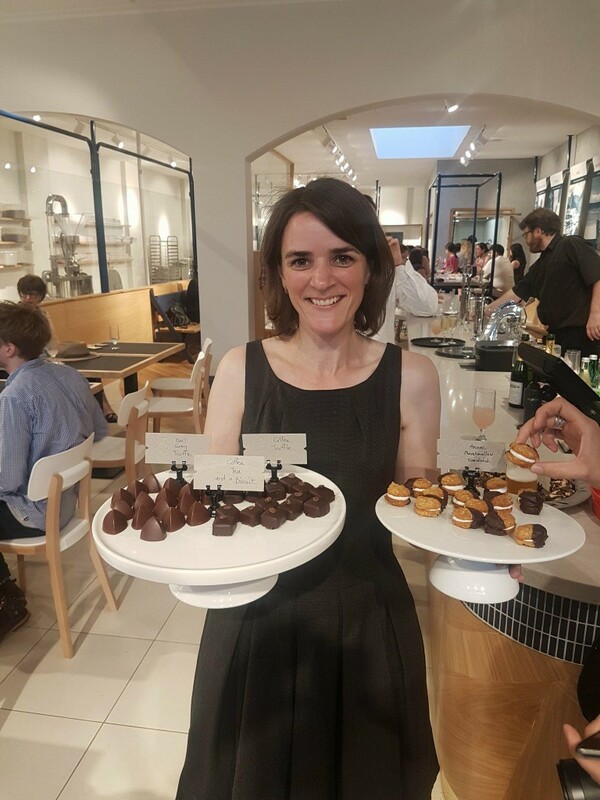 Debbie Makin – Ratio business owner handing out a selection of her delectable chocolate treats! 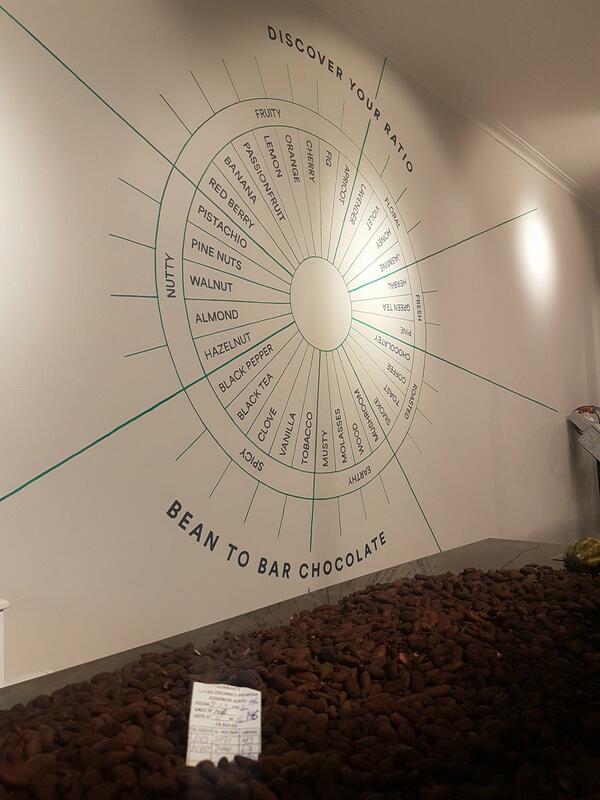 The chocolate specially crafted for Melbourne!